We found out this past week that we are adding another princess to our royal family! 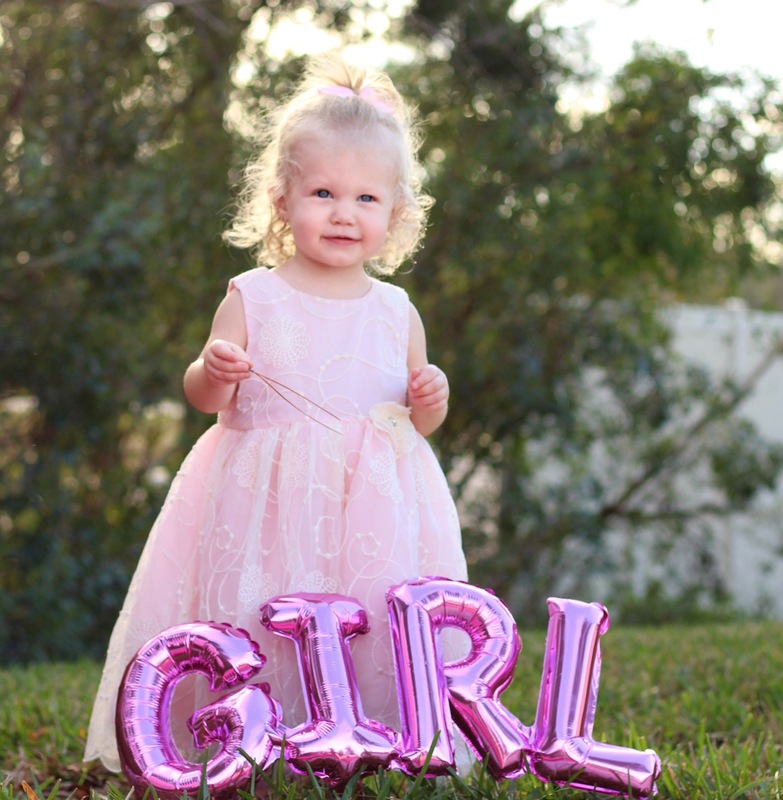 In order to share the exciting news with our friends and family, I wanted a cute way to include our toddler in our gender reveal photoshoot. 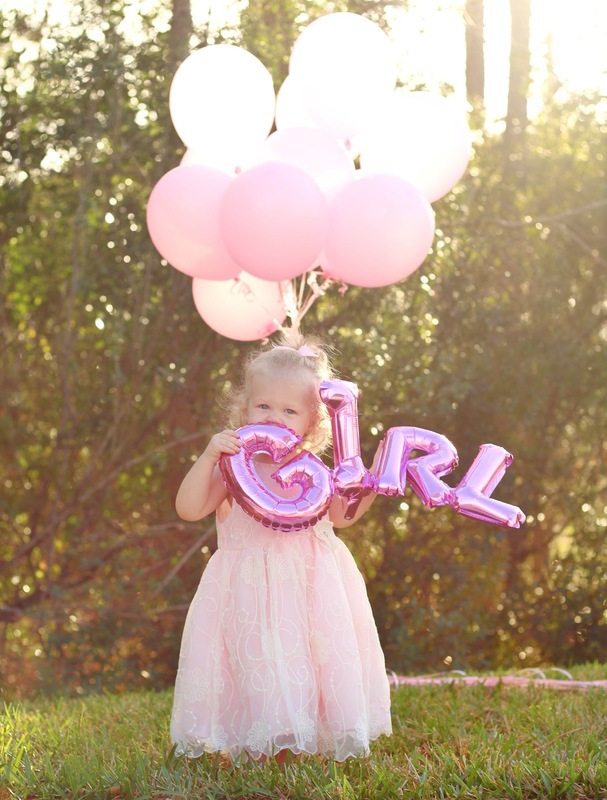 Looking for fun gender reveal ideas for kids? 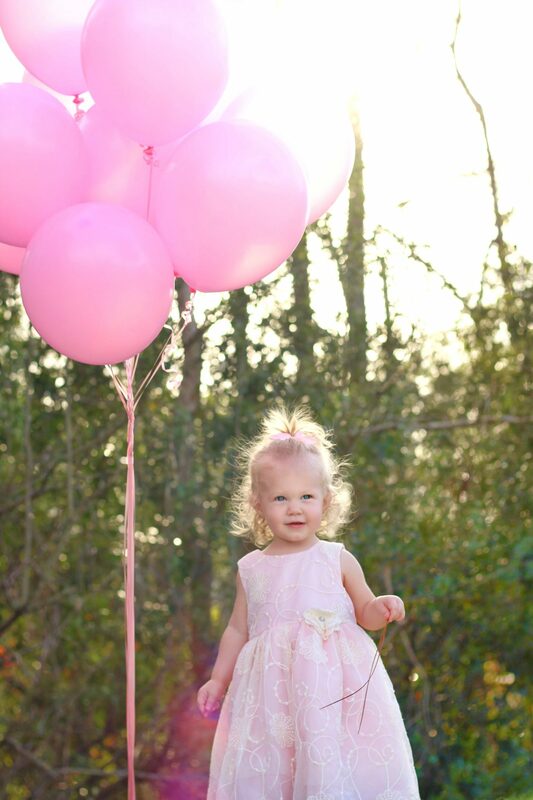 This balloon gender reveal that involves siblings is super easy! Get inspired with these photo ideas. I wanted to keep it really simple so I purchased a dozen pink balloons from our local party store and this adorable “girl” foil balloon for only $3. We scheduled photos for evening right before sunset to get nice golden light. I also recruited a couple friends to help me baby wrangle and keep princess Evie focused. It’s so much easier to get good photos when I have extra help!